Gilt Groupe and Target team for flash sales. Gilt Groupe, the online sample sale mecca for fashionistas, has made its name as an ultra-exclusive home to top designers. The invite-only retailer is blossoming into a $500-million business thanks to insider deals on high-end brands such as Marc Jacobs and Zac Posen. Now, it’s teaming with Target. Wait, what!?! 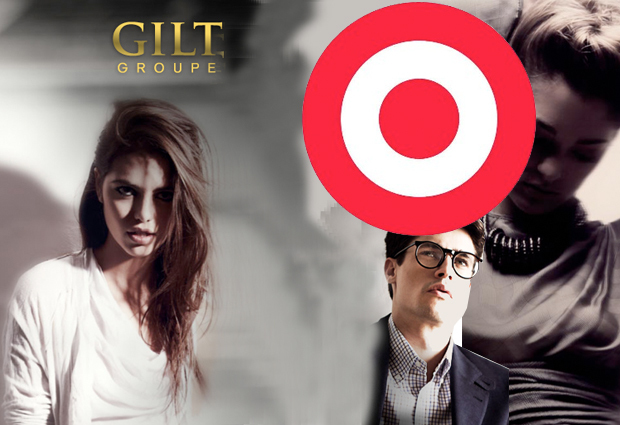 In many ways, Target and Gilt go after the same consumers: bargain hunters. While Gilt might appeal more to Vogue readers at the moment, that may only be due to the site’s aura of exclusivity, which, to some degree, the company has been trying to shake by expanding its membership. After all, Gilt is no longer invite-only: now anyone can “request membership” (aka register). It has launched a men’s section called Gilt Man–perhaps to balance out its 75%-female membership–and expanded its children’s line to bring in more families. The trick, of course, is to open the site up to a new consumer base, without losing that feeling of exclusivity. This partnership strikes the right balance: “Target is no stranger to high fashion,” according to the Gilt blog. “This fall, the retailer’s high-design lineup [is] stellar, offering apparel by Tucker, bags of Mulberry and home goods by John Derian.” So while not losing any Fashion Week-cred, Gilt will potentially gain a new segment of customers as more and more shoppers discover such deals exist. Target, on the other hand, will have the privilege of being featured in flash sales from the “exclusive” retailer, and show off its own designer offerings.